“These sightings in Liskeard and Hull underline the need to remain vigilant." 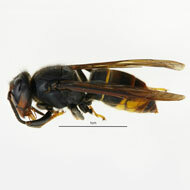 Surveillance activity is underway after two further sightings of Asian hornets in Hull and Liskeard, Cornwall. The news follows a recent sighting in the Fowey area of Cornwall. APHA’s National Bee Unit subsequently identified and destroyed the nest. Asian hornets pose no greater risk to human health than a bee, but they are a serious threat to honey bees. Defra says there is no evidence at this stage to suggest the sightings in Cornwall and Hull are linked. Work is underway to identify and destroy the nests. 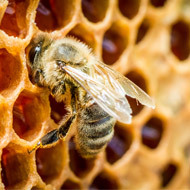 Bee inspectors from the National Bee Unit are carrying out surveillance and mentoring within a 1-2km radius around the sightings.